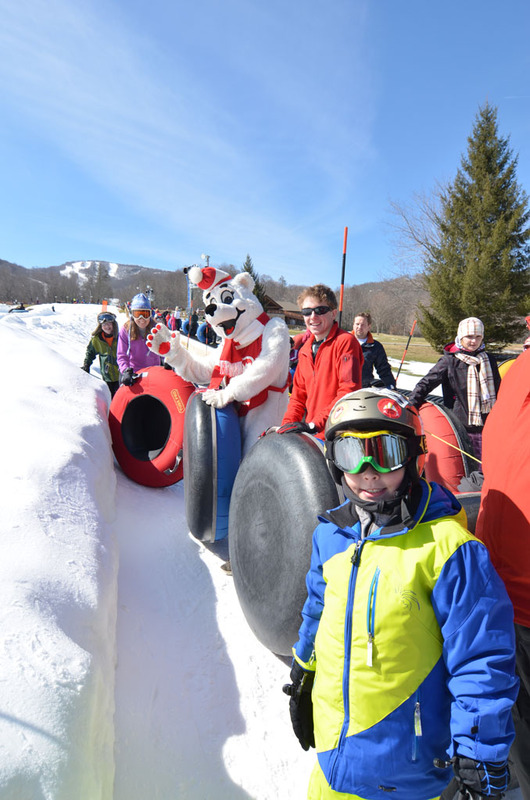 Tubing at Sugar Mountain Resort! Tubing is closed for the season. Looking for something different? Try tubing! 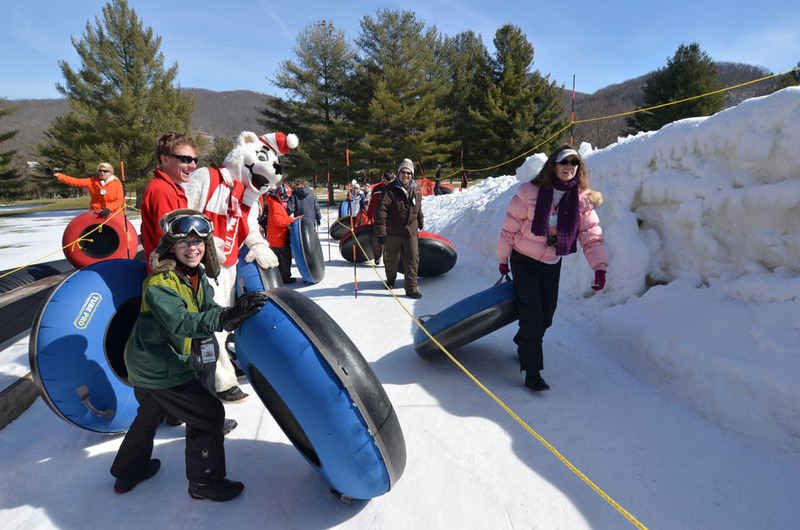 Located on the Sugar Mountain Golf Course; the 700 ft long tubing lanes are serviced by a Magic Carpet lift. 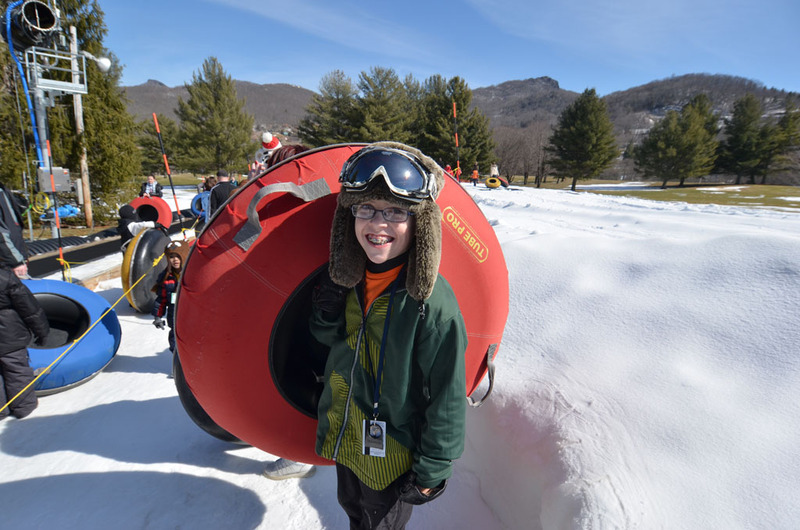 Snowmaking, lights for night tubing and regularly groomed lanes complete the facility. Sessions are just under two hours long and run from 10:00am until 10:00pm. Individual tickets must be purchased at the tubing park. Waivers for children 11 & under must be signed by parent or guardian. Save time by completing the form before you arrive and bringing it with you. 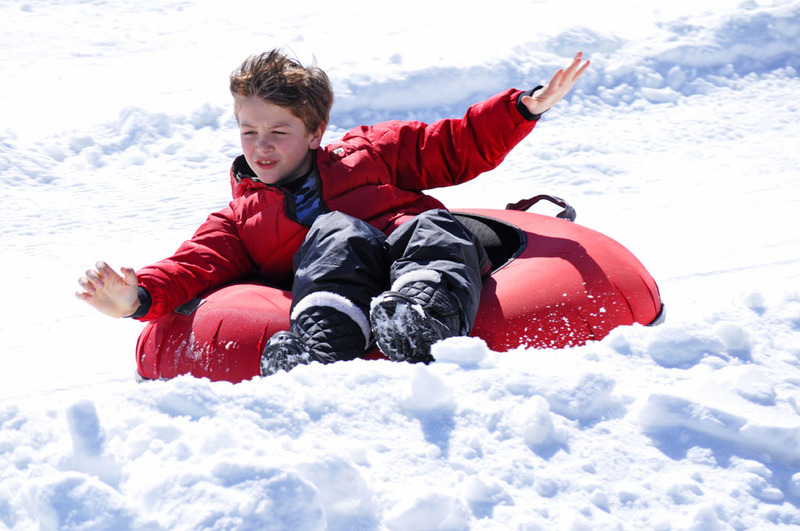 Snow tubing is located across the street from the base lodge. 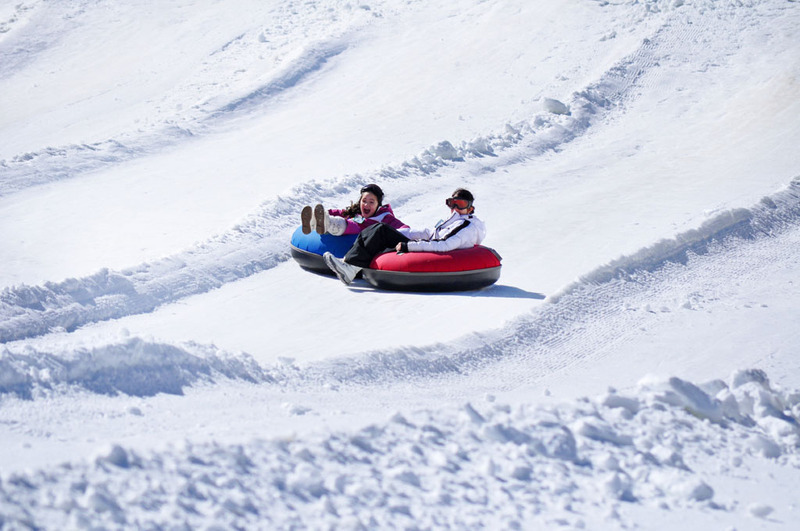 The tubing park consists of several 700 ft. long lanes. 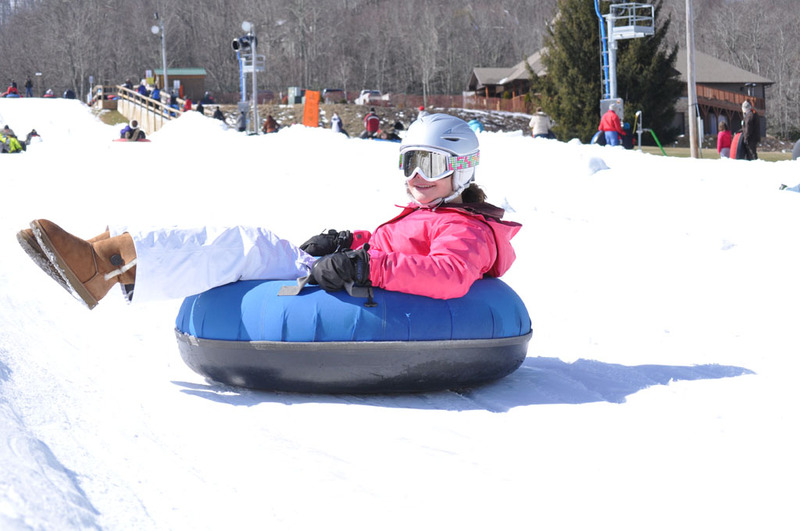 The tubing park is serviced by a moving conveyor lift called a Magic Carpet, which transports riders smoothly to the top of the runs. 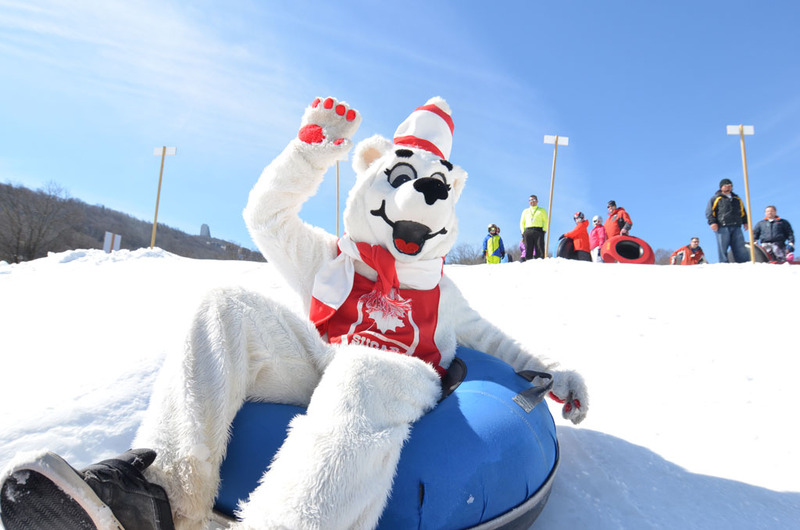 Session tickets are purchased in the building located between the ice rink and the tubing park. A limited number of tubing tickets are sold per session. No more than six (6) tickets per person may be purchased at a time. Tickets for each session go on sale one hour prior to the start of the session and are sold on a FIRST COME FIRST SERVE BASIS – THERE ARE NO PRESALES. Upon approval children ages 3 & 4 qualify for a complimentary tubing ticket. The child must be accompanied by a ticketed adult. Must be 3 years of age or older to tube. Children 6 and under must ride/share a tube with an adult. Children 7 and 8 must be under the direct supervision of an adult. At Tubing Supervisor’s discretion, children of any age may be asked to ride with an adult as circumstances require. 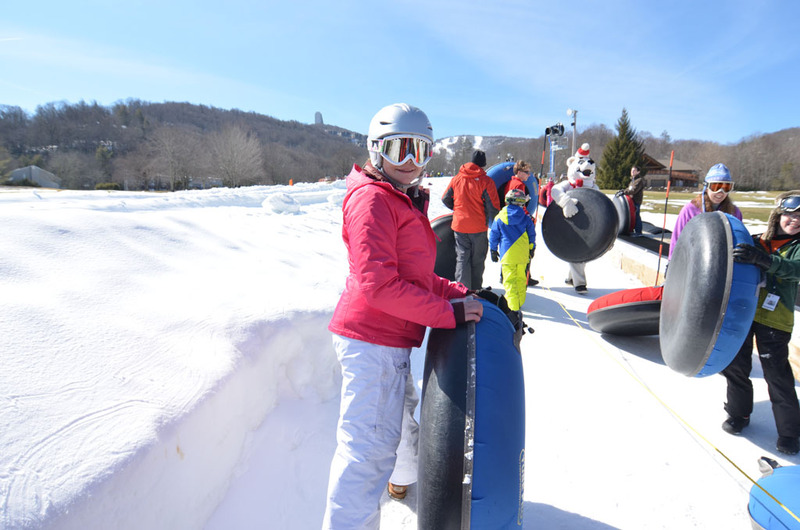 All children 11 and under must have a waiver/release signed by a parent or guardian prior to purchasing a tubing ticket. Ski boots are not allowed on the tubing runs. Recommended clothing consist of warm outer clothing, hat, gloves/mittens, and durable shoes. The management reserves the right to revoke a ticket/pass without refund at anytime for misconduct or nuisance caused by the ticket holder. Conditions change as a result of weather and tubing traffic. Your tubing ticket is non-refundable and non-transferable. 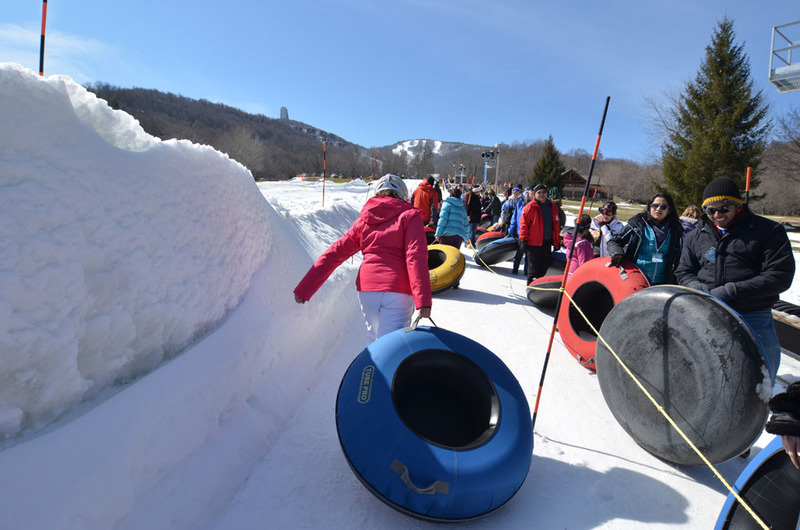 Sugar Mountain Resort does not assume any responsibility for lost tubing tickets. No replacements. 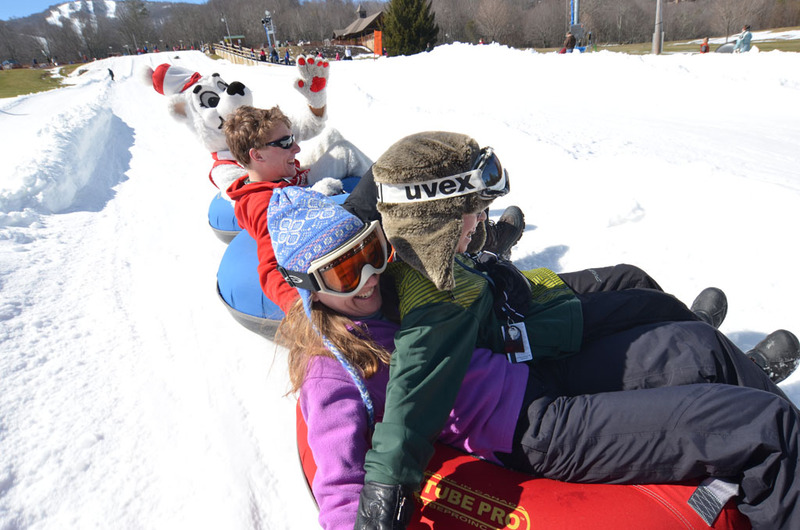 A valid tubing ticket is required at all times to enter the Tubing Park.